Your community block party returns! Join us for live music, a rockin’ Kids Zone, retail specials, tasty treats and more! 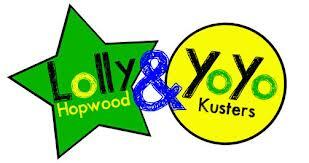 From the Sprout Channel, join ‘Lolly & Yoyo‘ in the Zone as they entertain and get kids moving and shaking! With thanks to Ambler Savings Bank for sponsoring this fantastic duo! Adopt a furry friend from Bella-Reed Pit Bull Rescue who will be at the entrance of the Zone. The Ambler Area YMCA is providing a moon bounce for the kids to keep moving! DeStolfo’s Demonstration Team will display their talent and moves! These guys are so excited to perform for you! Meet local artist Amy Nucera of Faith Hope Trick who will help the little ones make a special card for Mother’s Day!! Make a bead bracelet with Artisans 3 – just in time for Mother’s Day!! Learn about Reading Recycled, a local charity that provides books to kids who need them! First Presbyterian Church brings competitive marble instruction and tons of street games! They are also featuring ‘Jazz on the Patio’, bring a lawn chair and enjoy! Get information on their upcoming vacation bible school. Buy a tee shirt and market bag from Ambler Farmers’ Market! The market opens May 3rd! Get updates from Ambler Food Co-op! They are doing a cool seed project with the kids – are you a member? Learn why co-ops are great for a community and what this group has in store! Stop by the Ambler Music table to get information on their upcoming children’s music classes! Face painting by artists from Mermaid Art Studios! Local artist Amy Nucera, of faith hope trick, will be on hand to help your little one make that perfect Mother’s Day card! MJB Jazz Trio on the steps of Borough Hall! Tom Whitney Jazz Combo on the patio at First Presbyterian Church! Bring a lawn chair or blanket and chill to the sounds of jazz on the lawn. Sum Pig Food Truck brings mouth-watering, globally inspired gourmet comfort food to Ambler! Pulled pork galore and nachos that cannot be beat! The Tot Cart brings tater tots and toppings to our party! Tater tots and toppings – think about that for a moment and check out their menu! Trax Cafe features a $20 a plate BBQ special and the sounds of ‘Out of Order’! Bring your lawn chair and a bottle of wine! Dettera Specials include Slim Ginny (Gin, Muddled Cucumber, Fresh Lime, Agave, Basil) and House Lemonade (Vodka, Muddled Lemons, Tarragon). Both will be offered for $5 each all night long. Bridget’s ~ Live music from 6-10pm, also complimentary hors d’oeuvres with $5 speciality cocktails and martinis from 5-7pm for happy hour! ‎Generation Tee has everything in the store at 15% off plus a free pair of their new funky cool socks on all orders over $75. Xtra 101 (at the corner of North Ridge and Butler Avenue) features window models and scarf making. Bill’s Gym showcases de Tierra Caliente, brilliant Latin music! Join Bill Kraft (former owner of the Ambler Athletic Club) at the open house for his new gym and enjoy appetizers and refreshments! Doors open at 6! PURE Spa will have FREE facial air brush tanning and chair massage out in front of the spa, 20% off gift cards AND create your personalized body scrub or lotion for a gift to mom! The kids get to pick an essential oil, blend it and wrap it up for Mothers Day! Ambler Skate Shop is celebrating their 2nd Anniversary at 33 East Butler! Buy any two items in the shop, get the third free (of equal of lesser value). Also, stop by for their party on Sunday! Holistic Apothecary will have home made wine and pick treats and also Samplings of their Services…Reiki, Reflexology, Bio Mat, Compass Analysis. Mermaid Art Studios features $35 painting on canvas and $15 spin art tees! Sage Spa relieves your tension with a chair massage. They are selling soft pretzels, and having fun with hair coloring spray for kids and body art tattooing.